Naijatreks Adventure Company is a duly registered organization, born out of a deep quest to explore, promote and develop the numerous tourism potentials of Nigeria. Naijatreks is subsidiary of Ntreks Ventures, registered under Nigeria’s federal Corporate Affairs Commission. Naijatreks has been in existence since May 2003, and from then has been travelling the length and breadth of Nigeria, exploring and documenting its vast tourism attractions. 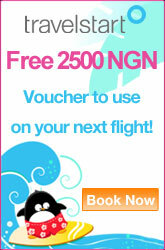 Our Vision: “Our vision is to see Nigeria rising to the top position in the world’s most desired travel destinations”. 1. We aim to continue to explore and expose the hidden wealth in the wilds of Nigeria, by encouraging locals to travel Nigeria. 2. We also aim to operate creative and well packaged adventure trips to amazing locations across the country, and offer these trips to our clients at the lowest possible cost, while not compromising quality. Founder of Naijatreks, Nigerian-born Folarin Kolawole’s travel writing and photography depict a passionate romance with nature’s endowments. He grew up in the small town of Akure, Ondo State. He is a travel writer, geologist, and researcher. When not at work, he travels the length and breadth of Nigeria, exploring, taking photos and writing about her numerous hidden tourist potentials. Lore Muraina is a business strategist and analyst with wide experience as a business consultant and human resource specialist with several companies in and outside of Nigeria. She is passionate for the outdoor and desires to support and promote sustainable businesses in Nigeria. Adedolapo George is a Zoologist, Social Media Manager, Foodie and Photographer. She is an avid learner and traveler. Seeing the world beyond the stereotype is her ultimate motivation for whatever she does. Ntreks is a duly registered organization with the corporate affairs commission of Nigeria (CAC); and the contents of this Blog remain an intellectual property of Ntreks unless stated otherwise. The contents on this blog are re-usable. However, it must be ensured that it is linked back to this blog, and correctly attributed to Folarin Kolawole or the author. Please do not edit, rewrite or commercialize the original works on this blog without direct and written permission from the author (Folarin Kolawole). For inquiries and advert placement on the blog, kindly contact us at info@naijatreks.com or naijatreks@gmail.com. Congratulations Fola, this is very impressive and look forward to working with you and contributing articles for this site. Big ups Fola, I am greatly impressed. Naija needs many more like you to awaken our dying cultural heritage and tourist center. @me…wow, just seeing this…thanks alot. @ Suzan…tnx Suzan…I got your mail…hoping to hear from you soon. @ Buy Backlinks…thanks..all d best. @ Fitness…Thanks for the comment fitness…well, as for the blogging, i think I learnt from people…people like you…and am willing to learn more. Whats up ! Love your blog…nice 1. Hi buddy, your blog’s simple and luvely and i like it. Your blog posts are superb. Make sure you maintain them coming. Up Naija! Great Blog From A Talented Dude………………. I love your writing and photos, Folarin. You are doing great work – keep it Up! I am impressed by your blog. I think it is awesome that you have the student group Naijatreks Young Writers. @Janice Robinson…Thanks alot Janice…well, we just thought we needed to carry the upcoming generation along if the Nigerian tourism landscape is going to see a brighter future. hey nice site, what are the requirements to add the resort I represent? Thanks Ayotunde…kindly send us a mail at naijatreks@gmail.com and we will respond to your enquiry. @REALbubbler <3 @Naijatreks . Fact. This is great! Please keep up the good work. it helps those outside Nigeria to get another view of our beloved nation. Amidst the voyage entertaining and informative attribute of this blog, am not surprised at the flawless content of this piece of composition, with a self reliant alumnus, always expect the best and nothing less…more power and concept to your cerebral prowess.